"Nestled" Altered Canvas with Petaloo! Authentique Paper and Petaloo are teaming up over the next week to bring you tons of Autumn inspiration using Authentique Paper and Petaloo products! Authentique's beautiful "Nestled" collection and Petaloo flowers are the perfect combination. I created an altered canvas featuring a lovely photo and the colors of Fall. I started by painting an 8"x10" canvas with black paint. Next, I cut a sheet of "Nestled" patterned paper to measure 7.5" x 9.5" and adhered to canvas. I adhered the photo to the center of the canvas and decorated with several "Nestled" Details stickers. I clustered many different types of Petaloo flowers and leaves to frame the photo. I love the beautiful brown and blue flowers. I then, wrapped the top and bottom corners of the canvas with Petaloo trim. I had such a great time creating this project. Great canvas, looks like the flowers are really surrounding her. This looks like a lot of fun to put together! Lovely canvas. Lots of great texture and beautiful embellishments! It turned out simply wonderful! I love the mix of textures. Absolutely stunning, what a great idea for a Christmas gift! I love the frame around the picture. Adds texture and elegance. Great collection of paper and flowers. Adorable canvas and love the little touches of lace you added too. 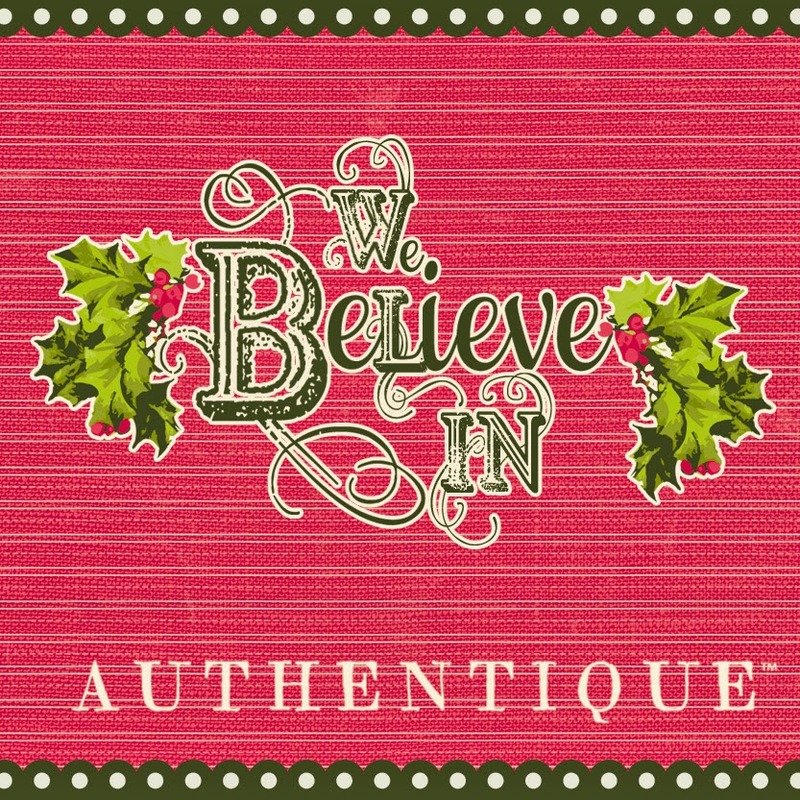 It is always wonderful to see Authentique and Petaloo teamed up together. Petaloo sent me ! And what I saw pleased me ;-) ! Lovely page and loving those berries - bliss. 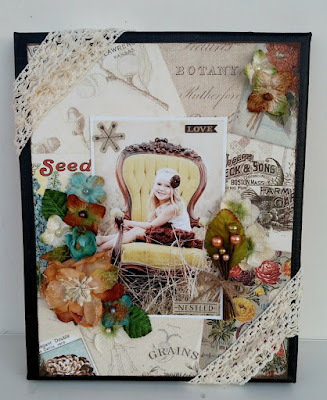 Your altered canvas is so beautiful! I love all of the embellishments and texture. Thanks for the inspiration. Fabulous canvas. Love how the black painted canvas creates the illusion of a frame for a layout with those gorgeous flowers and that darling picture. The touch of lace just makes the whole thing pop. Great job. lovely canvas! the photo is so sweet and you've highlighted it so well with the embellies and collection! Awesome job! I love how you incorporated the picture and the flowers fit so well too. :) Thanks for sharing. BEAUTIFUL photo and DELIGHTFUL canvas Keely!!! LOVE the design, LOVE the flowers and trims too!!! Wow! 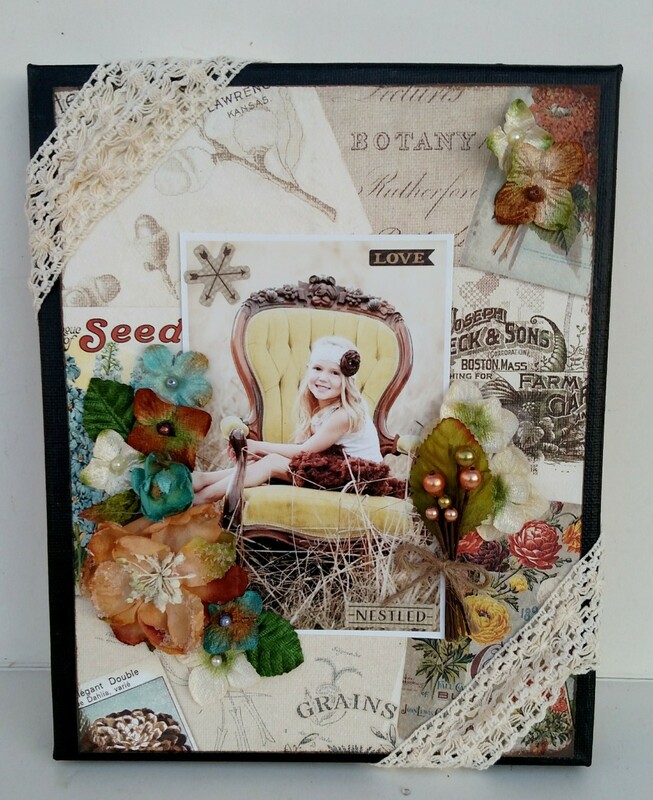 Your altered canvas is amazing! Oh, I really love the rustic look of this project! 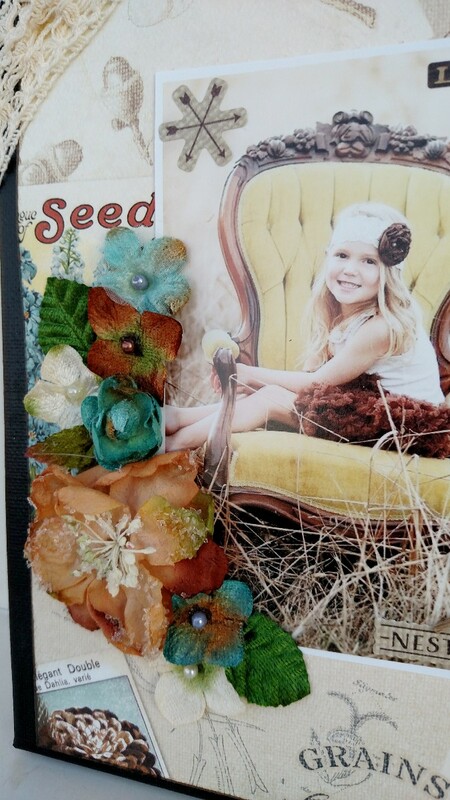 The flowers and lace trim add wonderful texture and color to these vintage papers! I like the gypsy/shabby look to this piece. It goes so well with the photo! thanks for sharing. Gorgeous, love the picture, the papers and the beautyfull flowers. 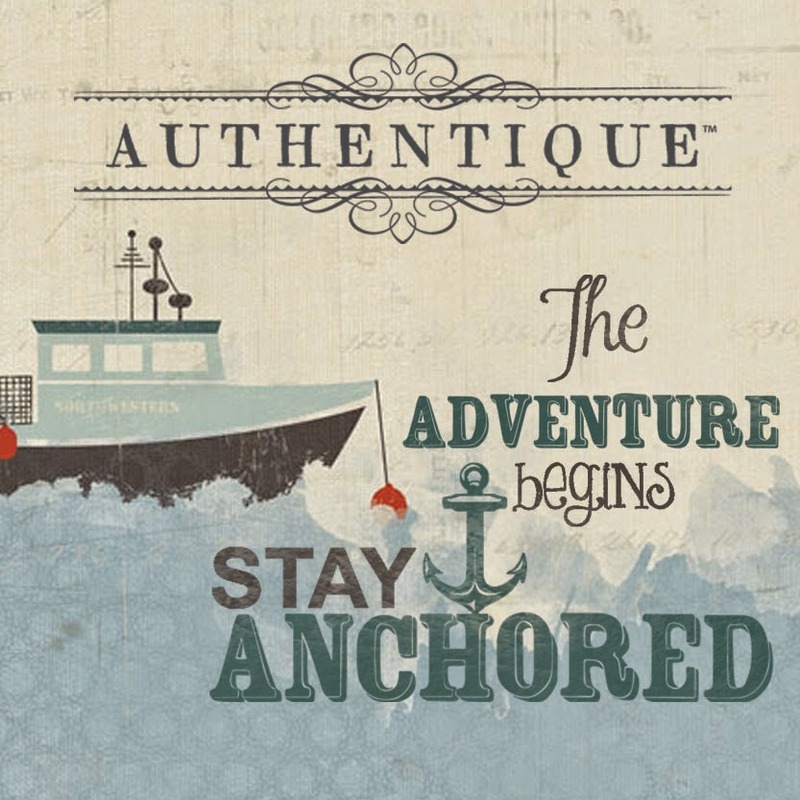 Authentique you NEVER disappoint. Thank you for all the years of turning out wonderful papers and products. Quality matters and you have perfected it!! !